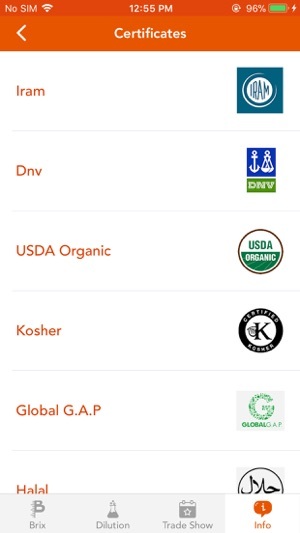 The Trade Channel Inc. App provides volumetric conversion functions used by suppliers, agents, sales associates, manufacturers and brands within the global beverage and flavor/fragrance industries. 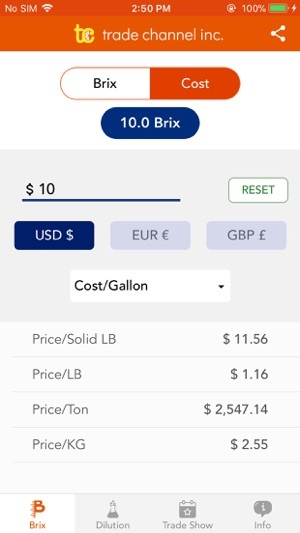 The Brix + Cost section – allows users to view Brix values between Imperial and Metric values, while the Cost section allows users to instantly calculate and compare costs between different volumes and currencies, updated with live currency rates. 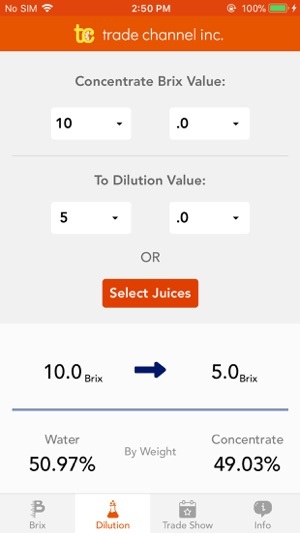 The Dilution section – allows users to calculate the Dilution rate from a set Brix value to a finished product. 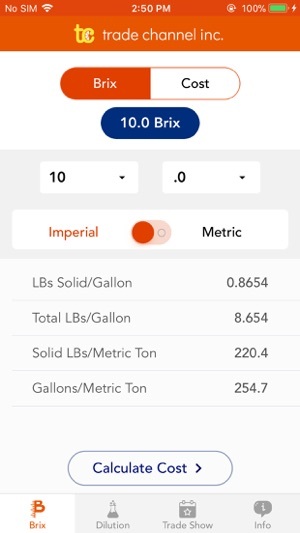 This section also includes a Juice Index of Single Strength Brix values for easy selection and reference. The App services business and marketing needs for Trade Channel Inc., including a list of trade shows with the ability to schedule meetings, a contact page, a products page and a certifications page. 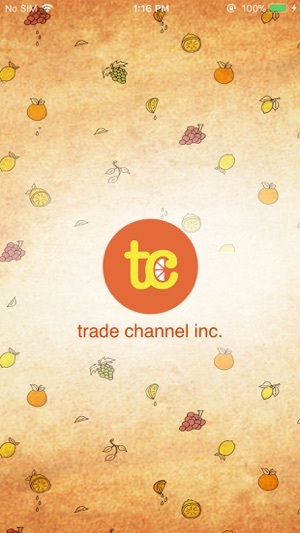 Trade Channel Inc. is a global importer and exporter of citrus raw materials. 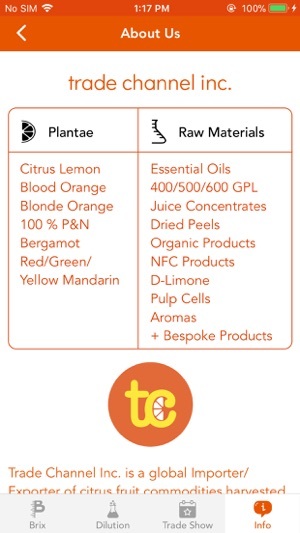 Harvested in Argentina and Sicily, we provide essential oils, juice concentrates, peels and more to the beverage and flavor/fragrance industries worldwide. More features to come with future updates. Please submit any and all feedback. © 1999 Trade Channel Inc.